Group Fitness Instructors work closely with the Group Fitness Coordinator and Group Fitness Student Directors of the Leach Recreation Center and Fitness & Movement Clinic. 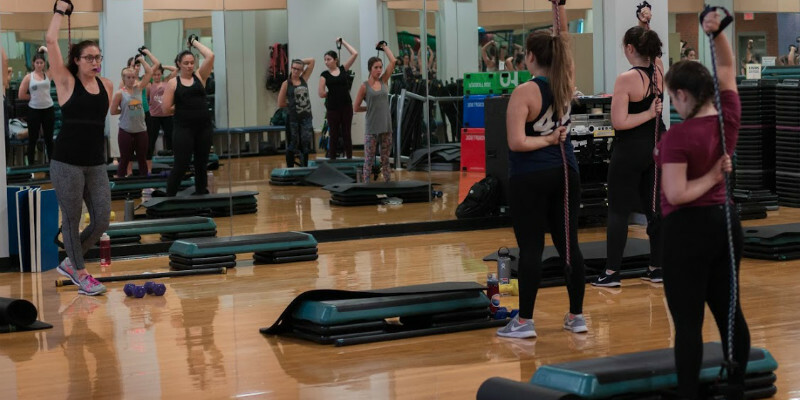 Instructors have the opportunity to gain experience in the following areas of exercise leadership and practical concepts through instructing classes relating to Spinning®, Step, Barre, Yoga, Strength, Circuit and a variety of other group fitness formats. Rolling Hiring Period: Apply Anytime! To educate and instruct participants incorporating safe and sound physiological principles, for the purpose of improving cardiovascular endurance, strength, flexibility, and body composition. Be able to instruct participants in the proper technique and safety features in a group fitness class. To teach and emphasize the 5 components of fitness: Flexibility, Muscular Strength, Muscular Endurance, Cardiorespiratory Fitness, and Body Composition. Full-time FSU Students (enrolled in classes during the semester they are seeking employment). Professional and Nationally Accredited Certification(s) are REQUIRED for all Primary Group Exercise, Spinning®, Yoga and Pilates Instructors. Prior teaching experience is a plus! Must be able to work well with supervisors, employees, and participants. Personable, approachable, helpful and energetic. Teachable, dependable and highly motivated to encourage others; hard worker. A nationally recognized certification (i.e. AFAA, ACE, Mad Dogg Spinning®, RYT-Yoga). CPR for the Professional Rescuer and First Aid. Successful candidates will be given up to 1 month to complete these certifications. Courses are available through the Campus Recreation Department (Aquatics). A free 6-week program designed to teach participants to become group fitness instructors. Offered every fall and spring semester. Meets two times weekly for theoretical and practical content components. Prepares participants for auditions and to take a nationally accredited group fitness certification exam. Exam payment is the responsibility of the participant. If you have any questions, please call us at 850-644-0547 or email us. You can also stop by the Leach Center or FMC during normal operating hours to talk with our staff about our job opportunities.